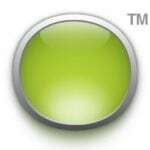 Data backup services help you make copies of your important electronic information. HIPAA requires us to do this, of course, but it’s also just a really good idea. Data backups can save your bacon in more ways than one! Note that data backup is similar to file synchronization, but it’s not quite the same thing. Many services that do one also do the other, but not always. If you’re looking for products that do file sync, click here for reviews of products that offer file synchronization. Recommend for your HIPAA risk management needs? : Yes. 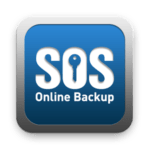 SOS Online Backup is a good backup solution for small to large group practices. Read our 3 notes for some details regarding proper use of the product. Recommend for your HIPAA risk management needs? : Maybe. Yes for Windows, Android, iPhones and iPads. No for Macintosh computers. Carbonite is a good backup solution for small to large group practices. Read our 4 notes for some details regarding proper use of the product, and for one caveat we have.